You never know what special person you will meet when you attend a wedding. While most people go with hopes of meeting a romantic interest, at my friend Semira’s wedding last year I met someone that would be a wonderful friend and spiritual comrade. Within minutes of meeting Shaghayegh I was in awe of her story – from being a censored journalist in Iran, to traveling the world (Paris, Italy) to being an entrepreneur. I also realized we had so much in common – i.e our talks about ego and love for writing. 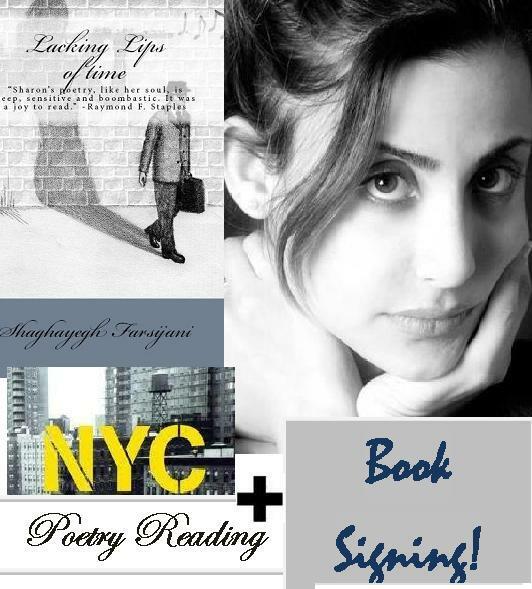 So when she sent a note saying she had published her debut book of poetry, Lacking Lips Time and would be stopping in NYC on her book tour, I was thrilled. Books are available for purchase on Amazon.com. There will be a limited supply available at the event also. For more information on Lacking Lips of Time add Shaghayegh on Facebook. I remember the thrill I had of finding Esmeralda Santiago’s debut book, When I Was Puerto Rican when it was published in 1994. It was eons ago, I was in High School and it was a time before the existence of Latina Magazine or J. Lo gracing the Most Beautiful People list. That was the first time I came across any literature by a Puerto Rican woman in the mainstream arena. 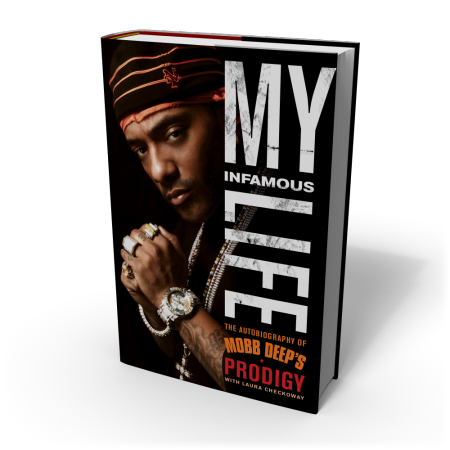 It was reading this book that helped cement the idea to one day tell my own story. Needless to say, I have followed Esmerala’s work ever since. 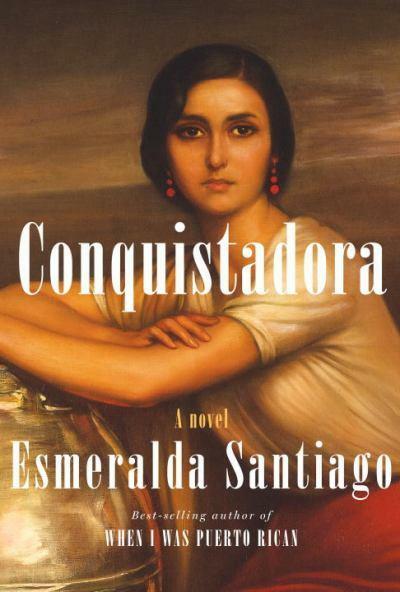 Cut to 17 years later and Esmeralda is still at it, this time releasing a Historical novel titled Conquistadora. 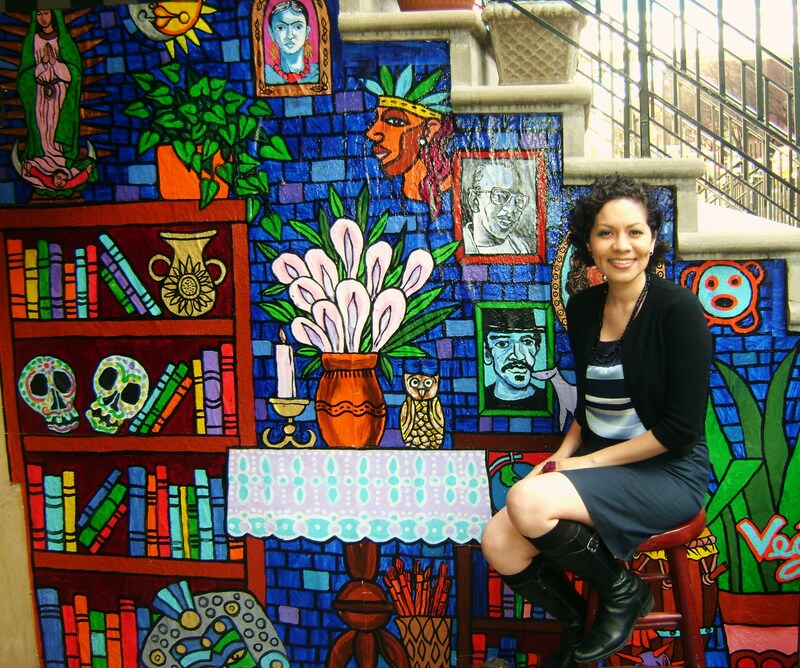 To help promote the book El Museo Del Barrio had an event where Mireya Navarro, New York Times journalist moderated a conversation with Esmeralda Santiago about her new work. Being a long time fan I jumped at the chance to see her speak again. Though I was skeptical about her writing anything other than memoir, I left there with a different perspective and newfound inspiration. Besides dishing on the storyline of the book itself, the author went on to tell how the idea for this story came from wanting to tell the stories of her family ancestors but because she came from a poor family that didn’t read or write, there was no documentation. Conquistadora is her way of piecing together a history for her family that just doesn’t otherwise exist using historical research. I was so touched by that, and what Puerto Rican doesn’t have those same yearnings – to find out more about where they come from. In her research, Esmeralda found out lots of interesting facts about Colonial PR – in how race relations were. How people with dark skin were treated, but never spoken about. For example, there was a 6 month time period where “blacks” were not allowed to walk on the same side of the street as anyone else (just one example). So much taboo still exists on the island about the presence of Africans in our culture. I think we all stand to learn a lot about the humble beginnings of la Isla del Encanta by reading this. What I also found fascinating about this book was the time it took to put together. Esmeralda admitted doing research for this from before Google exaisted. Say What? I didn’t know there was such a time. I can’t even remember it lol. But that means a long time. And on top of that, her resilence – she suffered a stroke in the middle of writing Conquistadora that left her unable to read or write. She had to relearn how to do both! Many feared this book would not be finished ever, but she worked through that and here it is. Sheesh, and I have a hard time sitting for an hour to write… now I have no excuse. It was a wonderful, inspiring event especially to a writer like myself. Thanks to all that were involved in putting it together – for free at that. Conquistadora is on stands everywhere now. For more info on Esmeralda Santiago check out her official website. I’ve learned in NY that the most random meetings become the most substantial relationships. For instance, the way I met Glamour Mag columnist/NYU professor Jessica Seigal. I happened to walk by her abode en route to my 9-5 one morning, when she commented on my skirt. She complimented me on my ensemble and continued to walk with me a few blocks towards my job. In that time we learned that we both are writers (SCORE) and exchanged info. I didn’t expect to hear anything from her, when I received an invite to a book launch party/ walking tour she was participating in for The Heroine’s Bookshelf by Erin Blakemore. 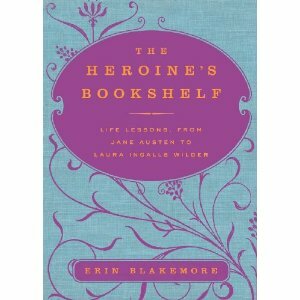 The tagline of the book is “Life lessons, from Jane Austen to Laura Ingalss Wilde” which intrigued me ( I am all for girl power). Plus, the idea of connecting some of these literary luminaries to the neighborhood I work in, even better. So, I decided to check it out. Turned out to be quite the event. There had to be at least 50 people (size of a small wedding recpetion) on this guided walking tour of landmark buildings throughout Greenwich Village. Pleaces of interest included: The street where Louisa May Alcott wrote Little Women (allegedly, research says otherwise), The place where Laura Ingalls Wilder’s daughter Rose Wilder Lane lived in bohemian splendor, the former home of Alice Walker and husband Mel Leventhal and Edna St. Vincent Millay’s house (the smallest house in NYC!). Jessica Seigal co-guided the tour which was awesome because she grew up in this neighborhood and had a plethora of fun facts to share at will. Like, the plaque on Cherry Lane saying it was named for cherry blossoms is wrong. It was a typo from “Cheery” Lane that forever changed history. In fact, many of the plaques have misinformation I learned last night. I was in fun fact heaven! Did you know Louisa May Alcott was addicted to morphine? Scandalous. And that the village was split into two worlds: southside was for the poor bohemians that didn’t play by the rules of high society (i.e. Edna St. Vincent Millay) and northside was for high society/ people with money (i.e. Edith Wharton). I am sooo glad I attended this event (and not because of the free Champagne and Glamour mags, though that didn’t hurt). It ended up being just the surge of inspiration I needed for myself as a writer. I was feeling pretty lame earlier that day thinking I was wasting my life away at a 9-5 where people use the word “circle back” way too often. I felt like this is not what the life a writer is supposed to look like. But then, I came out and found a book that is full of insighful nuggets for moments just like this from women writer’s themselves. These women are truly heroines to me because they continued to write in the midst of their life. They had sucky jobs, families to tend to, money/marital woes yet in spite of it all, they still wrote. To be reminded of that was a much needed life lesson for me. Thanks again Erin and Jessica for a great event and for being literary heroines as well! I first realized I wanted to share myself via the written word when I picked up Maya Angelou’s I know why the Caged Bird Sings. It was 7th grade and I read like nobody’s business in an effort to escape my world. A world I wanted so desperately to pretend didn’t exist. I saw the same kind of anguish in Maya Angelou’s book and quickly identified with it. I put that book down and felt so empowered by it. If she could unleash herself freely like that and make me feel so much better, I wanted to do that too someday. I first believed I could actually make this idea happen last week when I attended a “Latinos in Literature” reading event at Powerhouse books last week. There, Latino authors like Ivan Sanchez, Linda Nieves-Powell, Kim Osorio, Daniel Serrano and Joe Conzo gathered to read and discus their work. More importantly, they spoke about how and why they got published. As I sat there and listened to them each read I got teary eyed, because they were telling a story that was part of mine. Ones I could relate to. These were people that looked and sounded like me and I could identify with, it is not often I have that opportunity. These are people I know on facebook and talk to regularly, that are from New York. To see my peers be able to live this dream reminded me that I could too. Daniel Serrano stated that he wrote because when you discover you are a writer, its part of your identity, it’s who you are plain and simple. And you are frustrated as a person when you don’t write. I can attest to this sentiment. Linda Nieves-Powell admitted getting her book deal with only 50 pages submitted. And Joe Conzo exclaimed that your dreams can come true, no matter what they are. Just hold on tight to them. I am so thankful for that simple reminder. 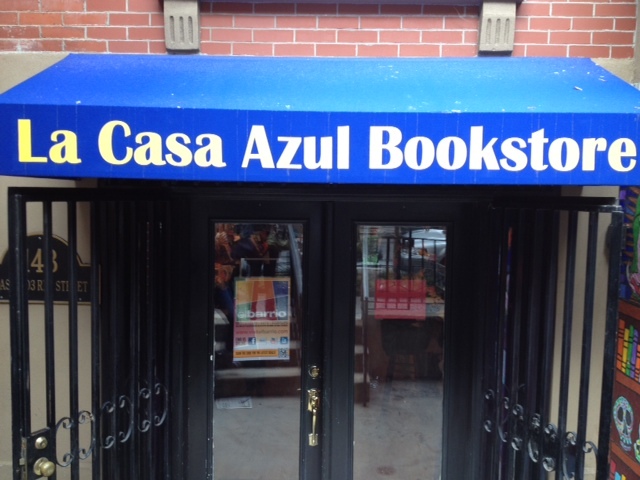 And so thankful there are more Latinos gracing our bookstores now. Let’s make sure more of us will get the same chance by supporting them now.